Technology and flexibility define BIZPHX quality management training. Our classes are delivered through on-site training (instructor-led), webinars and online through our SCORM compliant Learning Management System (LMS). BIZPHYX virtual webinars (VILT), help you save on costly travel expenses. Need training with in-depth, practical content? You'll experience some of the best courses in ISO and TL 9000 quality management, delivered by a staff of nationally recognized QuEST Forum Fellows and TL 9000 Experts, as well as an Environmental Specialist (CES). Global? Whether you're in Mexico or Asia we can execute training projects for your organization. BIZPHYX was a global QuEST Forum athorized training provider of TL 9000 sanctioned courses until 2019. Browse our course library and contact our registrar for pricing, group rates or customized training solutions. BIZPHYX has 40+ years of developing and providing training experience. BIZPHYX was a global QuEST Forum authorized training provider of TL 9000 sanctioned courses until 2019. BIZPHYX courses are SCORM and AICC compliant. We can also develop SCORM compliant, customized training solutions for your organization, tailored to specific quality standards and practice areas. 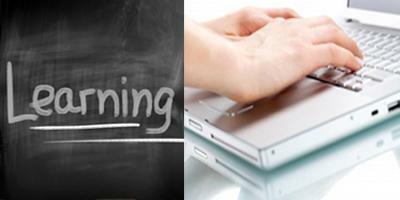 BIZPHYX offers courses through a SCORM compliant learning management system (LMS). Our LMS software application helps you administer, deliver and track e-learning courses and training for your employees. We can develop customized programs and content for your organization. Contact registrar@bizphyx.com for more information. Our staff of course instructors includes TL 9000 Experts, QuEST Forum Fellows and an Environmental Specialist (CES). This level of expertise ensures exceptional content and efficient course delivery.This level of expertise ensures exceptional content and efficient course delivery.This level of expertise ensures exceptional content and efficient course delivery. This level of expertise ensures exceptional content and efficient course delivery. "You did a great job on the presentation and materials. Right on the money, in terms of messaging and intent."